Recently I’ve been playing around with an iPhone app called iMotion HD that allows you to use your iPhone to do some pretty snazzy time-lapse photography. Here are a few iPhone time-lapse videos I’ve done recently. Two hours of chaos in one and a half minutes with a great acapella vocal group doing a Manhattan Transfer style version of Carol of the Bells. Love how this turned out. I recently did some work with artist Jennifer Shepherd of Living Tapestries and Susan Murphy of SuzeMuse.com and Jester Creative to shoot a concept video for Industry Canada’s Canada Business group on how to start a business. We wanted to try a different approach for this video – more fun and whimsical than your average government information package. I’ll share the final product when it’s public. But as a fun way of capturing the process and camera set up, drugs I shot this time lapse of Jenniferat work on one of the drawings. iPhone time-lapse video: prefab house being delivered in Wellington Village area. Cool to see how they do this, but the timpe-lapse video ended up being kind of shaky. So maybe this one isn’t ready for iMax yet. Hurricane Sandy T-Shirt: Been there. Trashed that. To all my friends in New York City, remedy Boston, ed and the US East Coast. Wishing you safety and peace as you ride this one out. 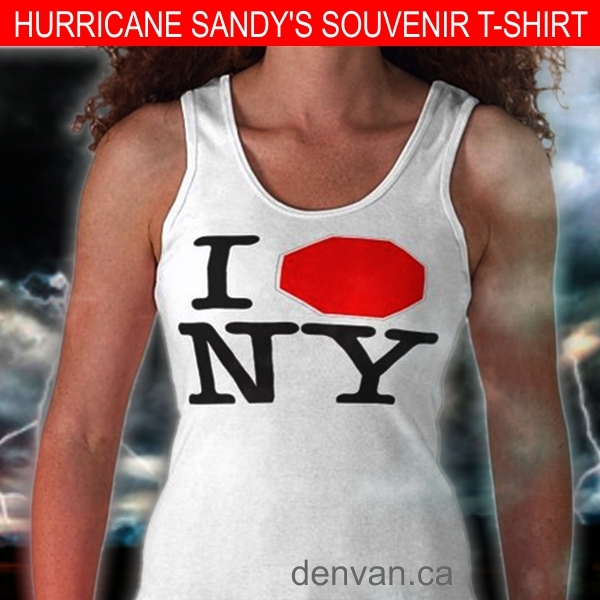 I hope this Hurricane Sandy T-Shirt gives you a bit of a chuckle. Here’s the real reason Sandy visited NY. It was that T-Shirt. Feel free to share it, Facebook it, Pin it, Instagram it, whatever you like. 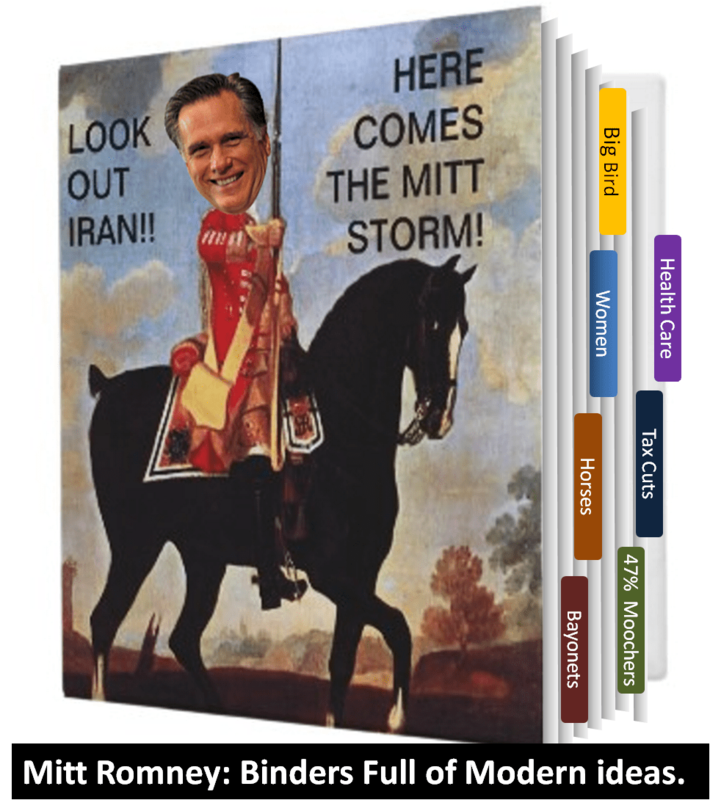 Political Humour: Mitt Romney: Horses, Bayonets, and Binders of Other Ideas! Binders, abortion and blinkers, and blades… oh my! I was all gooey and weak in the knees listening to Mitt Romney tonight during the final debate with Barack Obama. He. Is. Dreamy. (sigh) But tonight, and through the whole campaign, I was also struck by how many progressive, modern ideas Mr. Mittens has – about women, Muppets, the 47% of Americans who mooch off the system, that kind of stuff. But his brilliant plan to measure American military capacity by the lofty standards of 1916 – bayonets, horses, gunboats, and all? Pure un-bindered genius! Then it occurred to me: why, this guy doesn’t just have a LOT of ideas. He has BINDERS full of them. For long-time Ottawa residents, patient this view will look strange, and it should. Because it doesn’t exist anymore – or rather, the view has changed drastically, and the hill and path are now blocked off and overgrown. But I’m thinking it’s time for Nanny Goat Path to rise again. 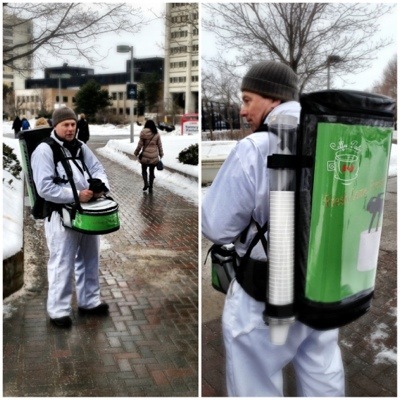 Believe it or not, this picture was taken on Laurier Avenue. 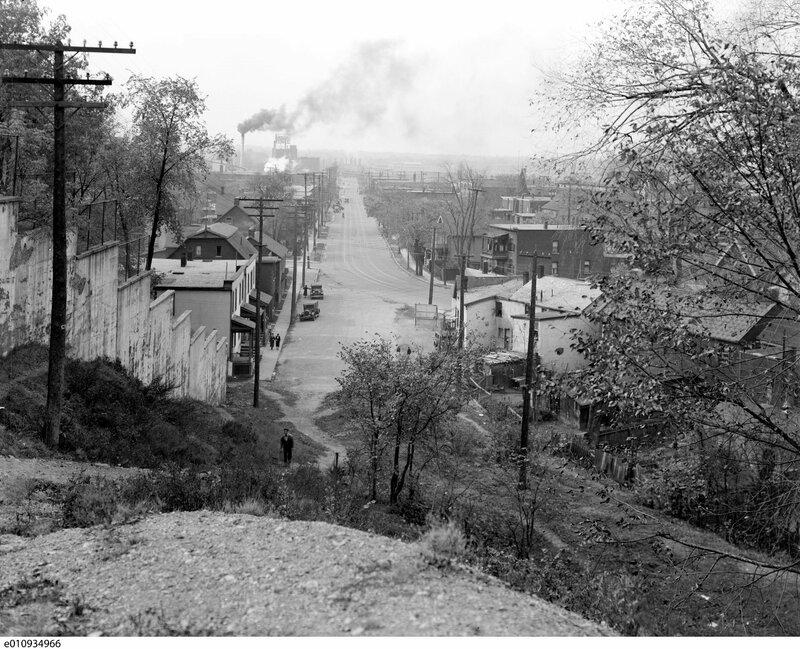 Specifically, the photographer was standing at the very Western end of Laurier Avenue, at the top of the Nanny Goat Hill escarpment, facing West. The road that stretches straight to the horizon is now the Western part of Albert Street, where it turns into Scott Street. The view is toward the sawmills and housing on Lebreton Flats (gone), the O’Keefe brewery (gone), and the Western Ottawa railroad yards, roundhouse, and the old West-end train station (all gone). To get a better idea of how it all once fit together, this great piece on Urbsite is a solid primer, but we could spend a whole book talking about Lebreton Flats… oh wait Phil Jenkins already did. Originally, the path in the photo was part of Maria Street – the road that eventually became Laurier Avenue. Maria ran straight down the escarpment here as a road which joined the old Richmond Road. You can still see the grading, retaining walls, and utility poles (above) from the era when this was a municipal street. But in the late 1800’s: the grade of Maria Street proved too steep for streetcars, so engineers route trams and roads around it to connect Wellington Street downtown with today’s Wellington Street West, and Albert Street angled across to merge with Wellington near the same spot. So by the early 1900’s, the Nannygoat Path became what you see in the photo above: a rough, informal pathway. Rough, but a convenient way for people to move on foot from downtown Ottawa to a few major residential, employment, and transportation centres. So you can see the path in the photo is well-worn and steep, but not unreasonable for a person on foot. So what happened to Nanny Goat Path? Two things went wrong for this path. First, with the Lebreton Flats fiasco and the death of the rail and sawmills, all the major reasons to use Nanny Goat Path had disappeared by the 1960’s. 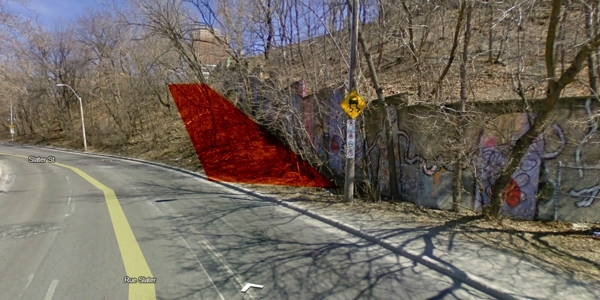 Second, car culture came along, and at the bottom of the path, Albert Street became the major route for cars, and later Transitway buses, to climb the escarpment. So Nannygoat Path was stranded in an awkward high-traffic corner, with not a lot of people using it anyway. So eventually, the top and bottom of the hill were fenced off, and over time, largely forgotten. 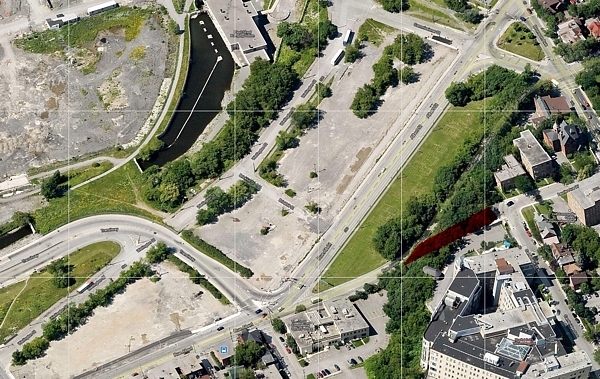 But this is critical: the Nanny Goat path right-of-way remains City of Ottawa property. Now that Laurier is the major East-West bike route through downtown, and the Albert / Scott corridor has long been identified as the ideal place for a major East-West bike way, this hill would be a poker-straight connection between those routes. Certainly, the grade is still steep, so it would be a hard climb and a fast descent, so switch-backs, road crossings, and connections at the bottom would need to be considered. But even if it never became a bike-route, at the very least, this path should be resurrected as a pedestrian path. What do you think? Crazy? Possible? Here are a couple of Google Map grabs showing the rough route (red shapes). OTTAWA POLITICS: For those who need a refresher on the issue before reading this, website like this please scroll to the bottom for some background links. I’ve just read the full text of your response to Jeff Leiper’s letter. And I think you missed the point. You see, a lobbyist registry is nice, but it is rendered almost completely meaningless by the secret pre-consultation meeting you defend in your letter. And while it would be nice to take you at your word that everyone is playing fair and nothing untoward is being discussed or promised, the letter quoted in the original Citizen article leads us to believe that isn’t true. Are we wrong? Here’s my five-step approach to allowing you to continue your practice of holding confidential pre-meetings with developers but also ensure that appropriate public oversight becomes an integral part of the process. 4) Release all details when a formal rezoning application is made – so community members can see that nothing untoward was discussed. 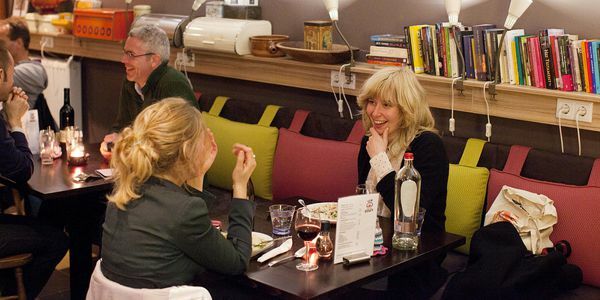 5) If no application is ever made, discard the documents – after, say, 10 years. There, simple, transparent, and easy to manage. What do you think? Community associations and long-time activists were shocked to read this story by Ottawa Citizen columnist David Reevely showing evidence of detailed, and secret, negotiations between Ottawa Planning staff and large developers where City staff seem to be pre-agreeing to rezoning applications that are double or triple the allowed height. And all this came right before council debated a new “Lobbyist Registry” that is supposed to bring transparency to dealings between City Hall and moneyed people with agendas. Which led to this very articulate open letter to mayor Jom Watson from Jeff Leiper, head of the Hintonburg Community Association. Which in turn inspired my attempt at parody on DenVan.ca. Cement trucks at 130 km/h? Why the heck not! What if Ottawa treated speed limits like development applications? Recently, dosage our City’s Planning Committee has been happily rubber-stamping rezoning applications from large developers for skyscraper condo buildings – even though they are double, pills triple, or even quadruple Official Plan and Community Design Plan guidelines. So I wondered: what if we treated other urban regulations the same way? After all, they all get in the way of growth, don’t they? Artist’s Rendering. Modern “Slimline” Cement Trucks Enhance Neighbourhood at Optimal Speed. In the quiet urban neighbourhood of Placid Park, more than 750 giant cement trucks a day will now be able to drive at up to 130 km/h through small residential streets. “Maximum 40km/h” signs will remain in place for residents and all other vehicles, but Devco Cement trucks will now be allowed to travel at more than three times the posted speed. 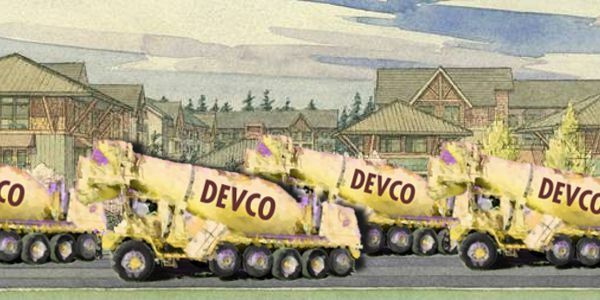 That’s because earlier today, the City’s Transportation Committee unanimously approved a proposal from Devco to allow their cement trucks and other heavy vehicles to travel through the neighbourhood of Placid Park at an “optimized speed”. “Placid Park kids will absolutely adore these super-fast -moving trucks!” Says the Mayor. According to Devco president Lance De Boil: “The goal is to help the city meet its “rapidification” goals, and ease traffic congestion on main arteries.” To do this, Devco will now be able to use Placid Park as a high-speed bypass – whisking their trucks from Highway 466 to a new Devco cement plant on the other side of the small neighbourhood. The City, for its part, will pay for repaving and widening the road – and removing all speed bumps, stop signs, cross-walks, bike lanes, and the school crossing zone next to Placid Park Elementary School’s playground. “Fast is good. It’s really a step up from the clunky, down-speed proposals of the past!” said De Boil in his presentation, before handing off to his Transportation Architect, Roddy Heehee. According to Hayhee, the old speed limits were about preventing dirty, ugly, old trucks, not today’s “low-profile conveyances, pulsing with power, energy, and grace”. 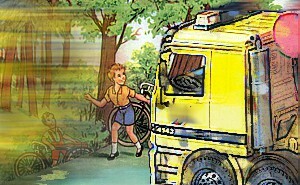 Heehee’s PowerPoint presentation showed artists’ renderings of pastel-coloured trucks on wide, leafy streets, moving past happily waving mothers and children. His presentation drew applause from the dozen lobbyists, consultants, and transportation architects on hand. Hummer angrily denied that this decision was simply a way for Devco to increase profits at the expense of safety for local residents. He also denied any connections between campaign funding and the pattern of voting on the committee – which routinely approves major speed limit rezoning applications by large companies against community objections. Wait, I have a new idea! An LRT subway through downtown Ottawa! Here’s a blast from the past. The drawing below is from the 1915 Bennett Plan for downtown Ottawa showing a proposed East / West tunnel to carry street cars (the light rail before Light Rail) quickly and efficiently through the downtown core. Note that the route it follows is only two blocks South of the current project’s Queen Street route but otherwise follows much the same path until it gets to the canal. So how did Ottawa miss this train almost a century ago? The easy answer: World War I suddenly became the priority in 1917. But add to that bureaucratic dithering, site lack of political will, for sale and a general shift toward cars and away from public transit – and rail in particular – that was already underway. Here’s how Bennett puts it in a section titled “relief to downtown congestion”, and note that even in these early days of the motor car, the priority has already shifted from moving people to freeing up the streets for motor cars. Means to operate cars faster through the down-town district are being sought in many cities. The end desired is that the round trip may be made in shorter time and the cars at present in use operated to do more work, with the increase in street congestion consequently obviated. This is being done in two ways,-first, by through-routing of all cars, that is, by the elimina­tion of as many as possible of the down-town terminals and loops,-second, by the construction, through the congested district, of subways for street cars, through which the (street)cars can move faster than they can on the streets. So what do you think? How different would Ottawa be if we’d adopted the Bennett Plan? Before 1600’s: Victoria Island is an important meeting place for aboriginal peoples from up and down the Ottawa River. 1610:Étienne Brûlé is the first European to travel up the Ottawa River on his way to the Great Lakes. 1600’s-1800’s: Voyageurs from Montreal use the Ottawa River as their highway to the upper great lakes. 1800: Philemon Wright – an American – builds the first permanent settlement at Hull. 1812: War of 1812 ends. Decommissioned soldiers are given land in Richmond area – land at Richmond Landing. 1826-1832: Construction of Rideau Canal turns Ottawa into a bustling urban waterfront town. 1836: Major Timber slide erected on Ottawa side of river. 1850s: large industrial lumber mills erected around Chaudière Falls to serve growing timber trade. 1854: first rail lines arrive in Ottawa. 1855: Bytown becomes a City – changes name to Ottawa. 1857: Queen Victoria chooses Ottawa as capital. 1860: KingEdward VII (then Prince Albert of Wales) rides Timber slide. 1860’s: Lover’s Walk around Parliament Hill is built. 1890’s: extensive streetcar system is built – centred at Chaudière Falls. 1900: Huge fire destroys major industries on islands and housing on LeBreton Flats. 1912: Chateau Laurier built by Grand Trunk Railway on Major’s Hill Park. 1960’s: Expropriation of Le Breton Flats and most of Ottawa’s waterfront property. Parkways built.